STOX Energy Blog - Do you put on the STOX Energy Socks the right way? This is how your compression socks will last the longest! 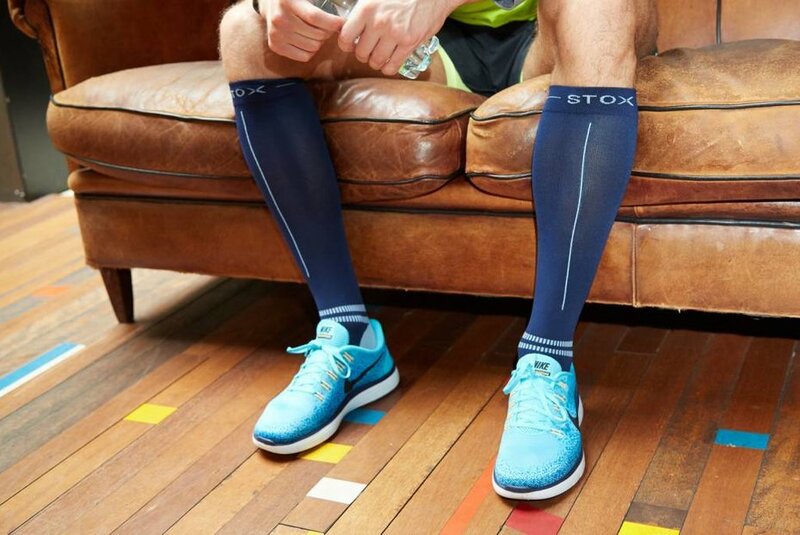 Do you put on the STOX Energy Socks the right way? This is how your compression socks will last the longest! If you have never worn compression socks before and just received your first pair of running socks, work socks, travel socks or recovery socks, you will have to get used to them. After all, compression socks are a lot tighter than normal (sporting) socks and you should put them on accurately and carefully. But how do you put these socks on? In this blog, we will explain exactly how to best put on your compression socks! STOX Energy Socks. We know how it usually goes; you buy something, remove the product from the packaging and throw that packaging straight into the bin. But where did that manual go again? Exactly. It was, of course, still in that packaging... If you have not put on the socks in the right way, they will not function as effectively as when you do. You can follow the 4 steps below to correctly put on your compression socks. Grab the heel of the sock on the inside with your thumb and index finger and turn the sock inside out up to the foot. Only the leg part has been reversed with this, so the foot part remains within the sock. Gently pull the leg part of the compression sock up. Make sure that the sock does not twist while pulling it up, because this can damage it. Also, do not pull too strongly when pulling up the edge of the sock. When you stretch out the sock too much, the sock can deform and last less long. In other words, handle with utmost care! running practice, just had a long flight or train ride or just come home from a busy working day, it is recommended to carefully wash your compression socks. You can do this in two ways; the old fashioned way of washing by hand (still very effective!) or in the washing machine at 30 degrees celcius maximum. We also recommend using a washing bag when washing the socks in the washing machine. This can substantially increase the life span of your socks! Also, be sure to use detergent for delicates and do not use bleach, fabric softener or stain remover when washing the socks! To dry the socks, lay them out or hang them from a line. Extra tip: you can speed up the drying of the compression socks of STOX Energy Socks by rolling the socks into a towel and powerfully press out the whole. But be sure not to wring out the socks! 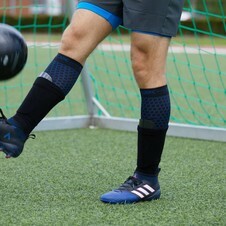 As you just read, putting on the compression socks of STOX Energy Socks is not that hard, but it does require a little bit more attention than standard (sporting) socks. 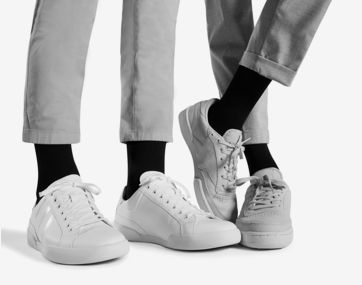 Do you have any questions about correctly putting on compression socks or are you curious about the influence they can have on your performance at work or during exercising? Feel free to get in touch! 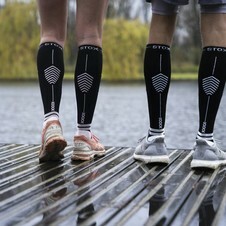 > STOX Energy Blog	> Do you put on the STOX Energy Socks the right way? This is how your compression socks will last the longest!